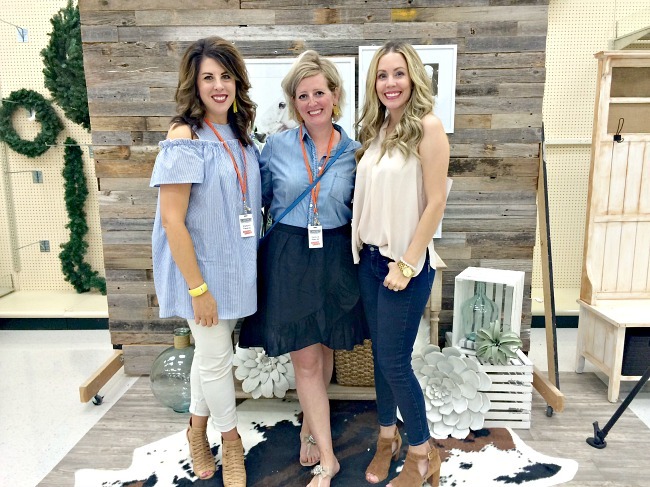 Early in the Summer, three local home decor bloggers were invited to come shoot a video to feature some of Hobby Lobby's new Farmhouse pieces. 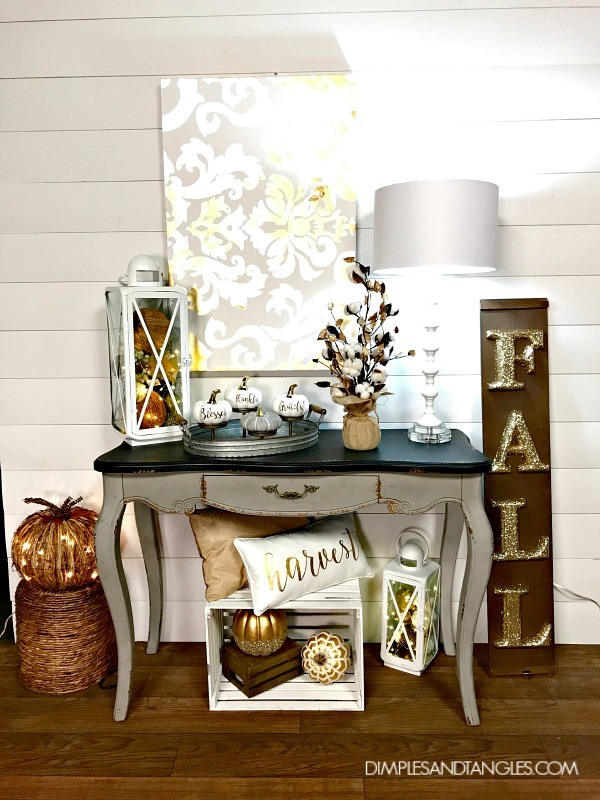 When we arrived in the room where the shoot was taking place, there was a big selection of all of the farmhouse things that we could pick and choose from, as well as about 25 cameramen and HL employees all watching our every move as we made our choices and styled our space. THAT wasn't nerve wracking at all! 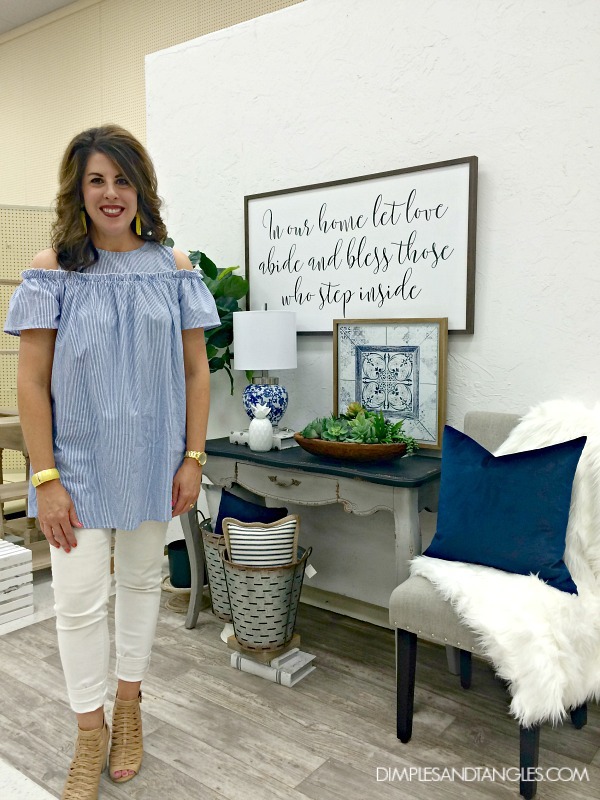 ;) We could all choose a background, piece of furniture from a few options they had, and whatever we wanted from the products. 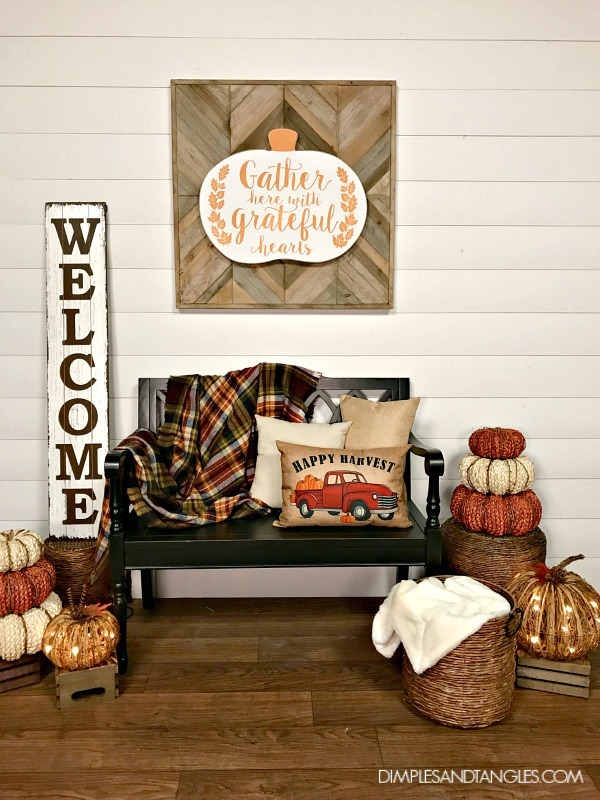 We were all drawn to slightly different things, and even though we all created "farmhouse" styles, they each definitely reflect our own style a bit too. I snapped a still shot of my space. The things across the bottom were propped up a bit so they would show in the video shot. After we each completed our own spaces, we all worked together on a fouth vignette. I think this one ended up being everyone's favorite of the day! 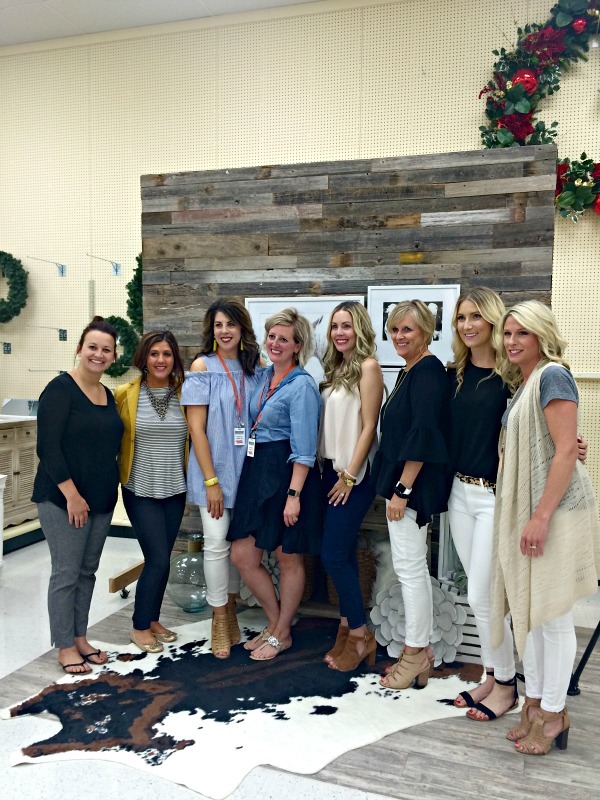 Here we are with some of the sweet buyers from Hobby Lobby that helped us that day. 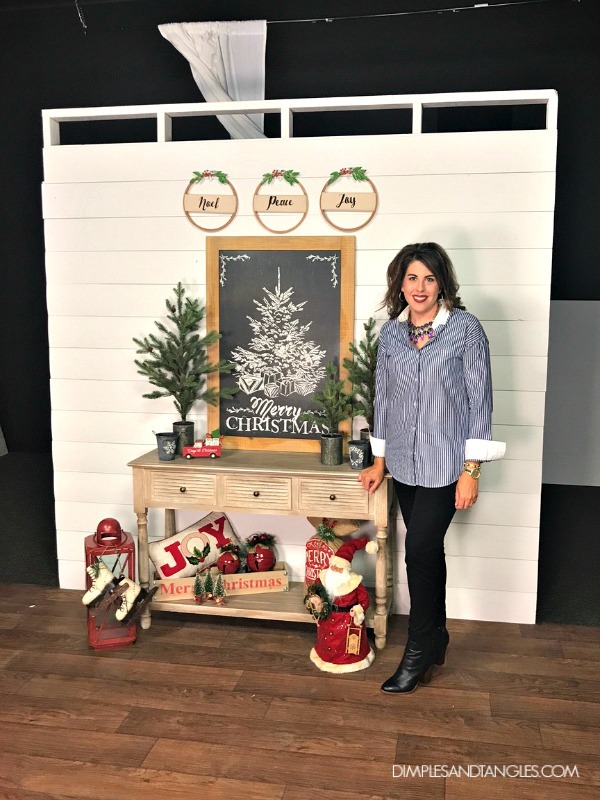 Late in the Summer I went back to do a Fall and Christmas styling video. 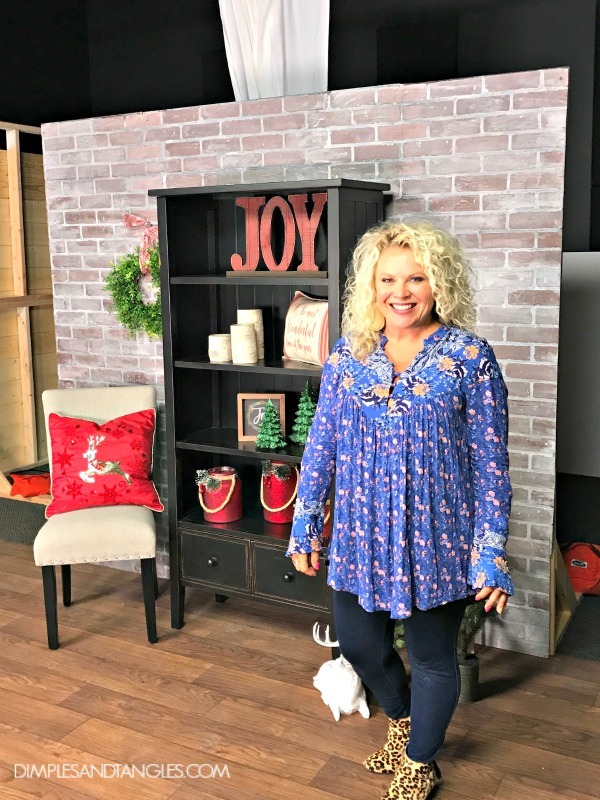 This was just a few days after our BHG photo shoot wrapped up, so I was still in the Christmas spirit! This time, the line up was all Jennifers! 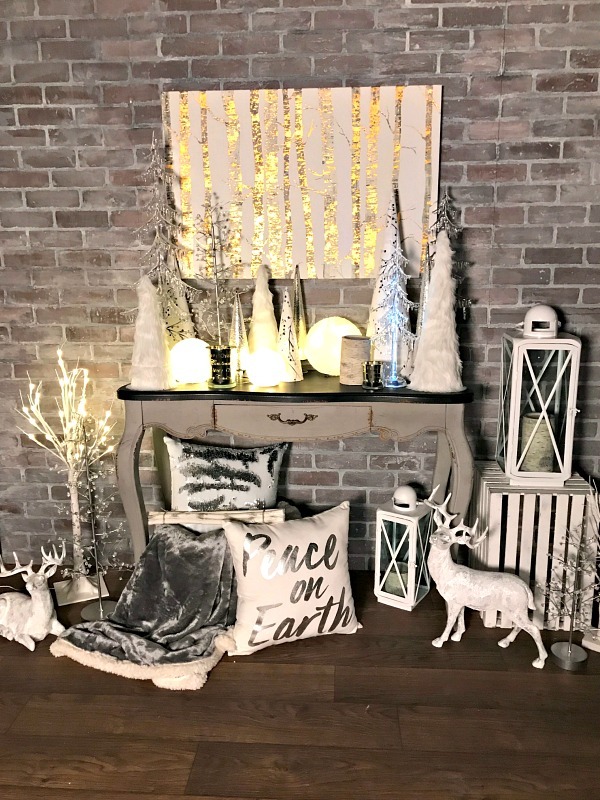 Jennifer from Tatertots and Jello, Jennifer from The Magic Brush and I all worked on our own Fall and Christmas vignettes, then collaborated together on a 4th design. I know those fly by fast, so here are some still shots of the finished spaces if you want a closer look. First is the space I created with the pieces I was assigned. My favorite thing is that round colorful pillow in the chair and there were lots of unusual, fun pumpkins too. 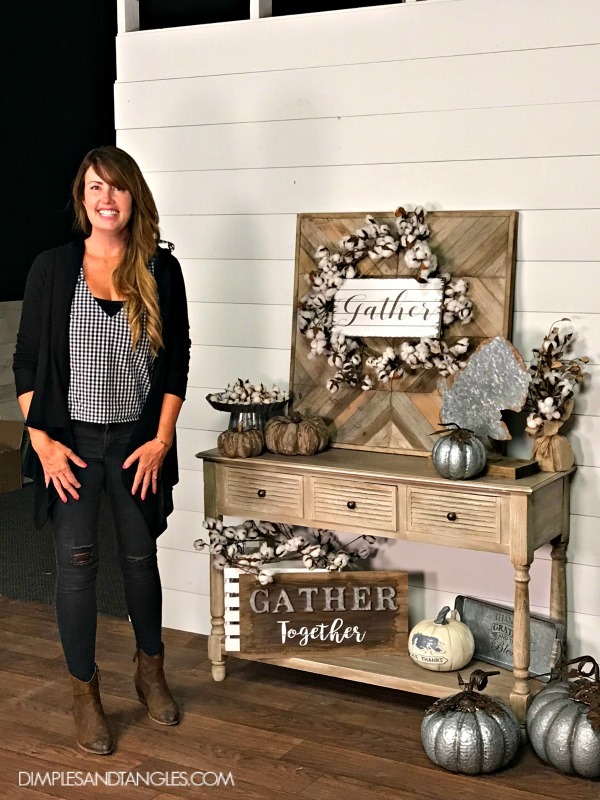 Jennifer from the Magic Brush took some glittered letters and attached them to the back of a sign she wasn't using to create the FALL sign, I thought that was so clever! 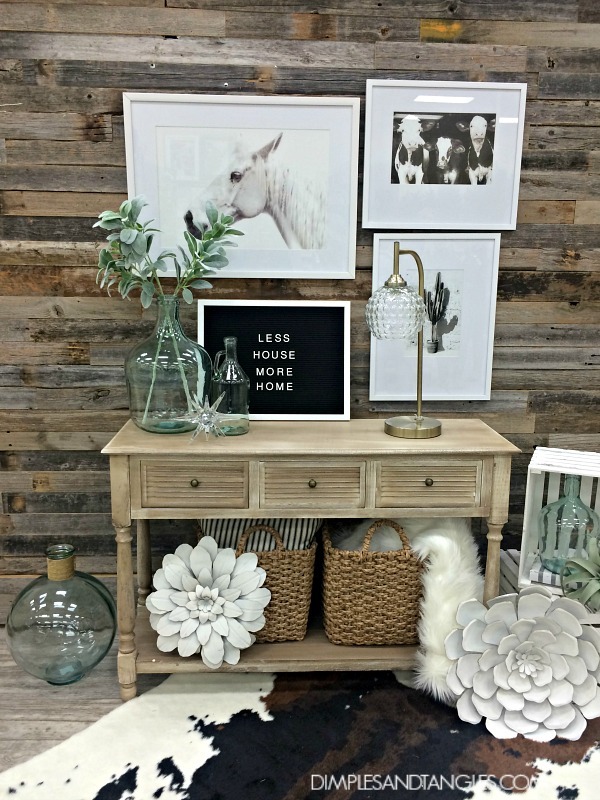 Jennifer from Tatertots & Jello created this warm, textural vignette. 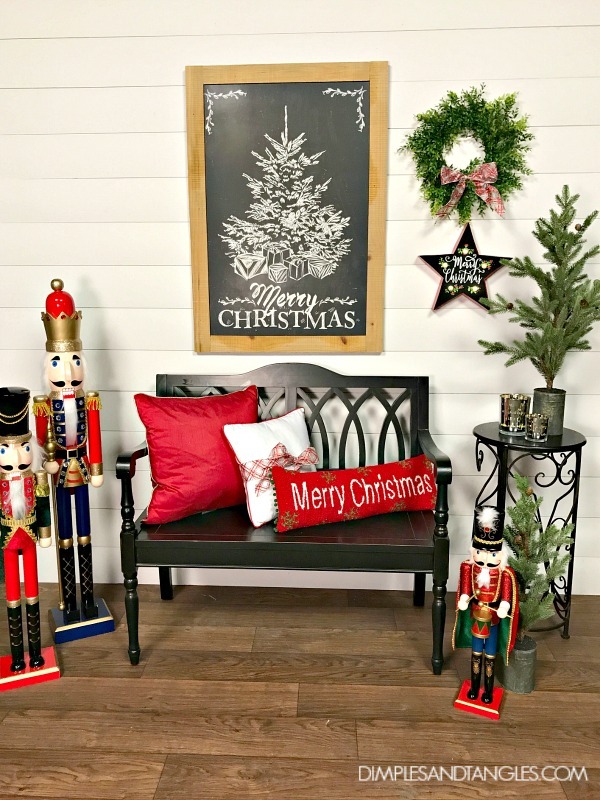 Love the wood art piece behind the wreath, it's beautiful by itself but also works as the perfect backdrop for layering so many things over it (you might notice it in some vignettes in other videos too). The Christmas videos worked the same way...assigned pieces and 20 minutes from start to finish! 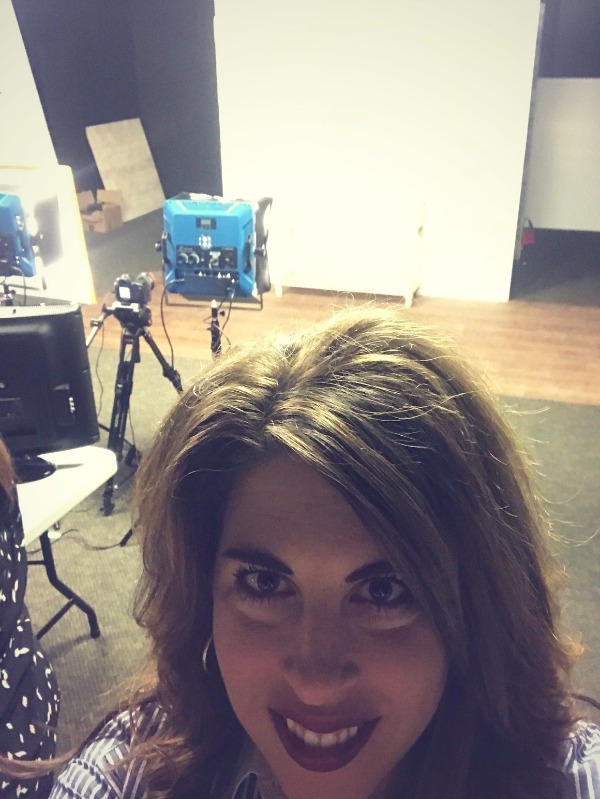 Here are the still shots, my space is first. They get cut off in the video, but the embroidery hoops on the top are darling! 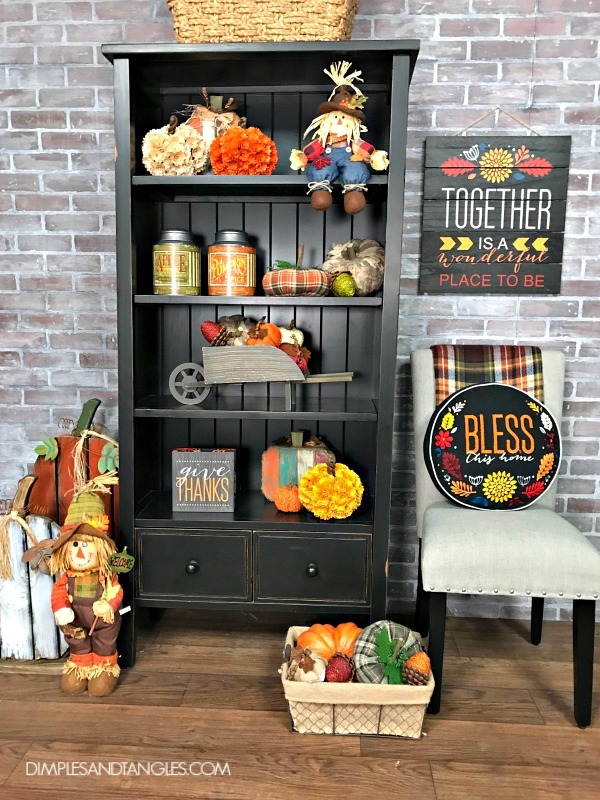 The leaves and berries are metal, and everyone went nuts for this chalkboard wall art piece. 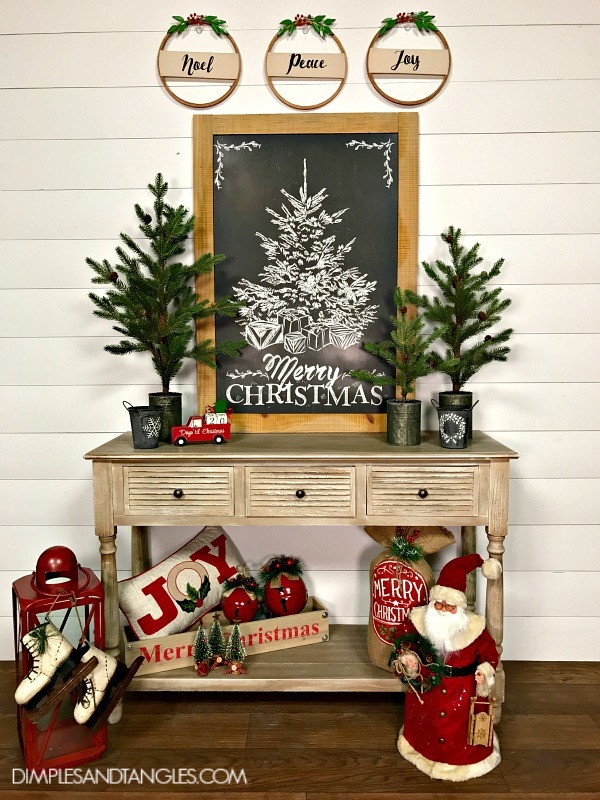 Also hard to see but I love the little red truck on the table, there are number blocks that fit in it to tell how many days there are until Christmas (by the way 105 from today!). Lastly, the space we did together. The white and gold and silver was SO much prettier in person, and those lighted orbs are totally on my list for this year! 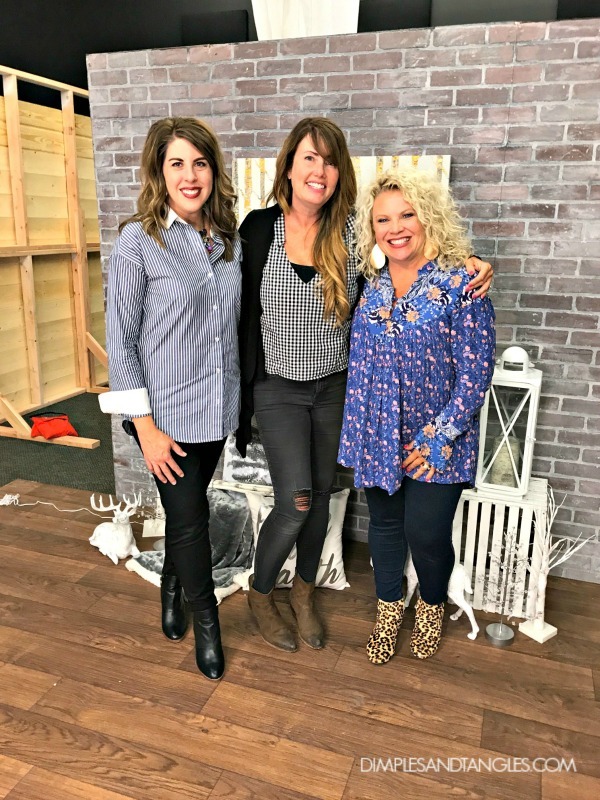 I hope you enjoyed seeing these videos today and got some inspiration for your decor and for the holidays! 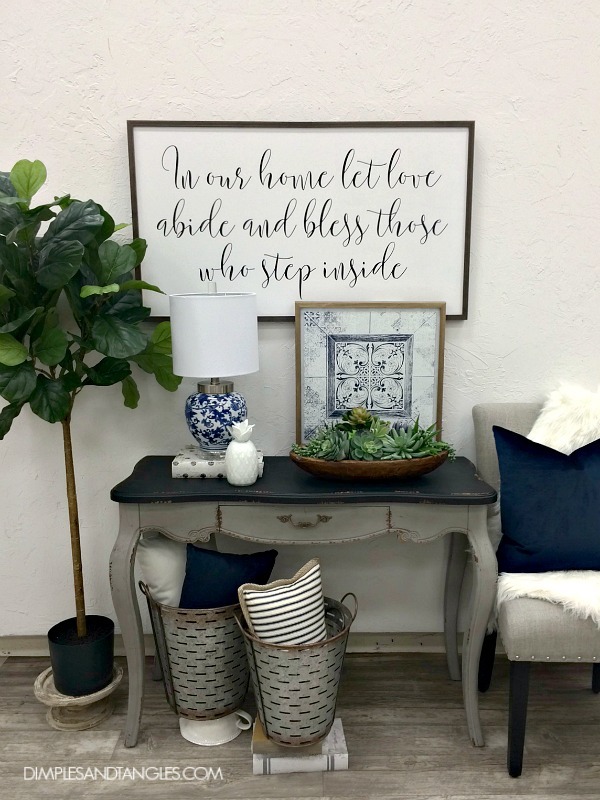 Do you have a favorite space or piece featured here? And it doesn't have to be mine! ;) ;) If you're wondering, everything you see in all of these videos is available at Hobby Lobby. so fun and you look adorable! How fun and all the videos and spaces are gorgeous. I think you all did a great job Jennifer and you all look so telegenic/videogenic too!Congrats! Thanks for sharing. Great ideas. 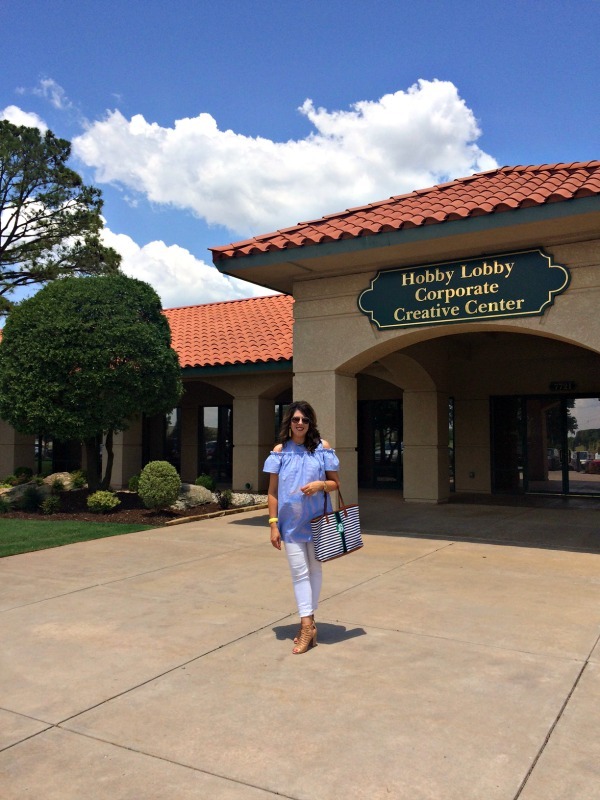 Love Hobby Lobby. Such beautiful displays! Thanks for sharing your talent and ideas. May God continue to bless you.